Spun from the finest silk in China and the finest alpaca in Peru, this beautiful lace yarn combines the best of both fibers and will delight any yarn enthusiast. 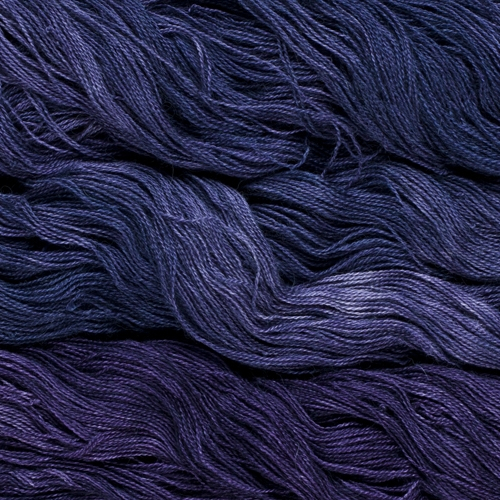 Silkpaca hand dyed lace with its beautiful sheen, drape and softness highlights these wonderful fibers at their very best. According to EU-Textilkennzeichungsverordnung: 70 % Alpaca, 30 % Silk.